Click Above to go to Website. This looks like a super product. I just ordered one. My plan is to use it to reset various Barix Boxes, Remote Control Systems, Routers etc. The price is right, under $200.00. Stay tuned. Use the simple, clean web interface right out of the box …or customize it using the built-in scripting language. The Pro is completely stand-alone. No cloud service or subscription needed. Need something else? 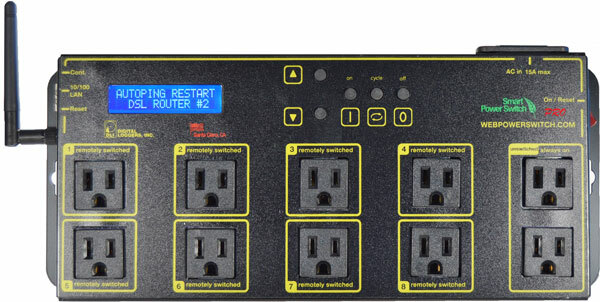 DLI also builds the original low cost Web Power Switch, PoE Injectors, Rack-Mount PDUs, DC Power Switches,208-240V switches and DIN relays. And, yes.. Rest assured, we are an American company with US quality control. You won’t be needing it, but the Pro is backed by a full 5 year warranty.